Incubators for animals provides quality care for pets that are injured, ill or convalescing.Incubators can be used for handfeeding babies, brooding chicks, pediatrics and orphaned/abandoned animals. Incubator - An apparatus in which environmental conditions, such as temperature and humidity, can be controlled, often used for growing bacterial cultures, hatching eggs artificially, or providing suitable conditions for a chemical or biological reaction. "The gull had a broken wing. 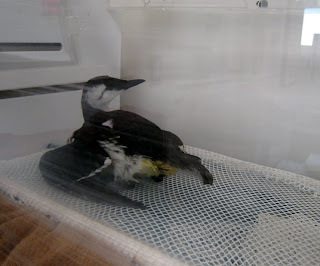 It was chaos for several minutes as boxes and crates were passed into the ICU, birds extracted, evaluated in a flash, and either popped in the incubator if hypothermic or placed in a crate." Duncon, Susan. "Seabird Special." Arthorse. 02 Nov. 2010. Web. 14 Oct. 2010. "We brought him out and got him breathing and then he went into an incubator on oxygen. He is now being fed by a tube." Nelson, Sara. "Introducing Deer Little Rupert | The Sun |News." The Sun | The Best for News, Sport, Showbiz, Celebrities & TV | The Sun| The Sun. 30 Sept. 2008. Web. 14 Oct. 2010. 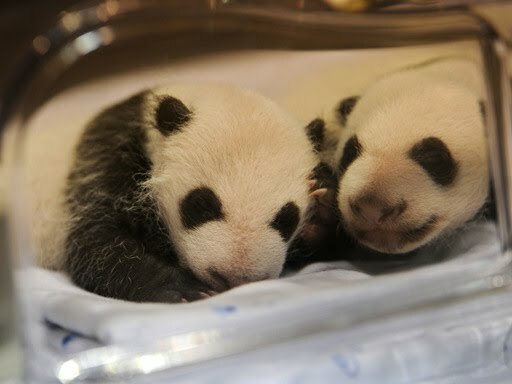 Newly-born panda bears sleep in their incubator at the Madrid Zoo on October 7, 2010 in Madrid, Spain. Incubators are designed to offer extra security and mimic a natural environment. They are meant to gives ill, frightened, and very young animals more security, and less stress by replicating their natural environment. This is particularly important when treating wild, older, or non-imprinted animals. Brooders and Incubators provide the most optimal environment not only for birds, but for dogs, cats, monkeys, reptiles, and a score of other animals. Since I have been exploring cages in my senior portfolio project, I am now looking into different types of cages that would be more interesting then just you standard pet cage. 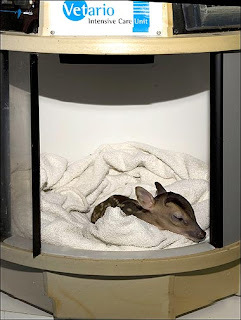 Now I am looking at more scientific cages, which include incubators to heal and nurture animals.